This product is a intelligent high-speed express strapping machine independently developed by our company, which is specially designed for e-commerce logistics users. 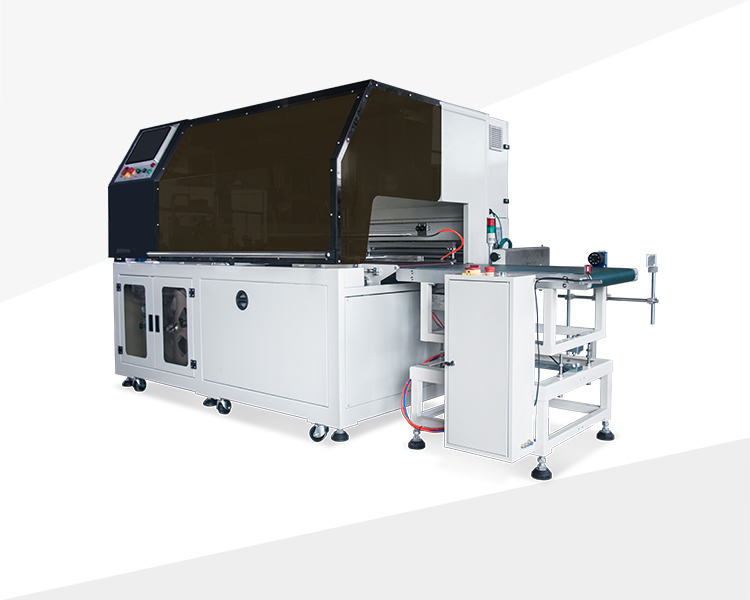 The whole machine is based on high-performance industrial control computer, and provides integrated solutions such as automatic scanning, automatic weighing, error rejection, automatic packaging and automatic pasting express order. At the same time, we can offer the mainstream ERP system and WMS system according to the needs of customers. We provide the overall solution for the shipment of plastic film goods packaging for customers. And this is the first intelligent high-speed express strapping machine on the market. 1. High speed Automatic scan code, weighing, packing, pasting express order in one. It does not require manual operation, and the packaging speed is up to 1500 bags per hour. 2.The sealing is firm The sealing knife is specially developed according to the characteristics of the express bag, which ensures that the sealing is firm and beautiful. 3.Provincial labor No need for personnel to operate, one machine can replace 8-10 labors. 4.Provincial consumables It can automatically adjust the length of the express bag according to the size of the product, and can automatically seal and cut, which can save 30% of consumables. 5.Docking system It can be directly connected to various WMS and ERP systems. 6.Small volume Easy to operate, strong versatility. 7.No error The information of express order is automatically generated and printed by the system after the item is scanned, so that manual error can be avoided.